Gives you the flattest binding when open—even on thin books! 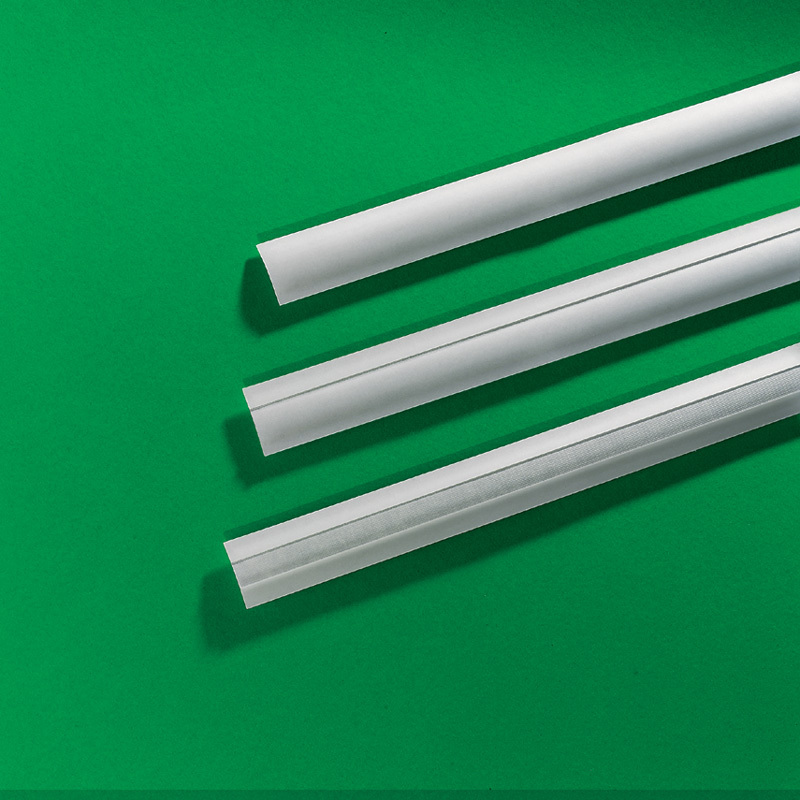 The TA strips bind your wrap-around cover with a temperature activated adhesive. As with the binding of your book block, final binding of the cover is done on the Model 20 binder or Model 9 binder. Your cover is bound entirely to the spine of your book block. Heat sensitive cover materials or printing are not suitable for this method. 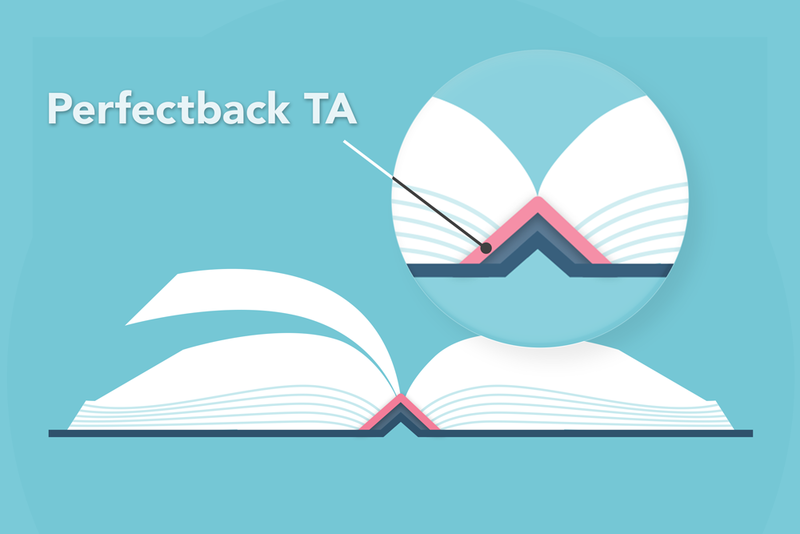 TA strips can be identified by the single piece of release paper on the back of the strip. 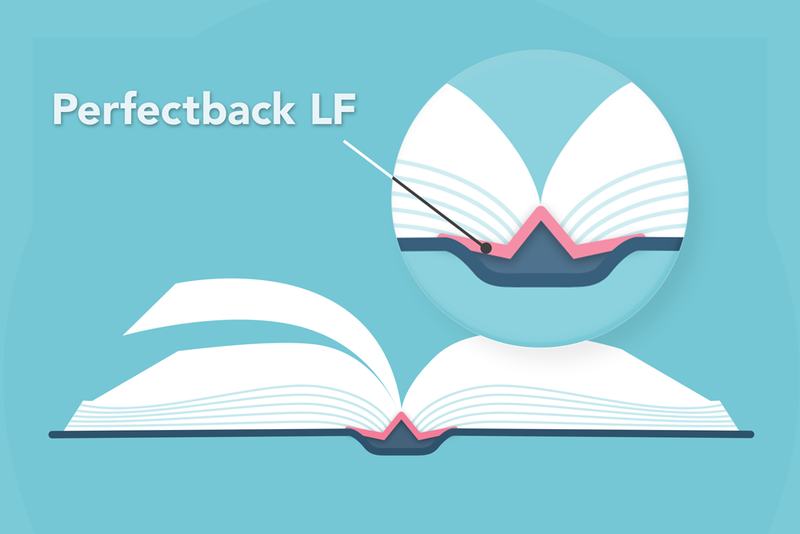 The LF strips creates the flattest lay flat binding when opened — hence, the acronym LF. The spine hinges free from your book block. The book opens easily without creasing the spine. And you can do the final binding without heat so you can use printing methods and cover materials that are heat sensitive. These strips have two narrow bands of release paper, one on each side of the back of the strip. 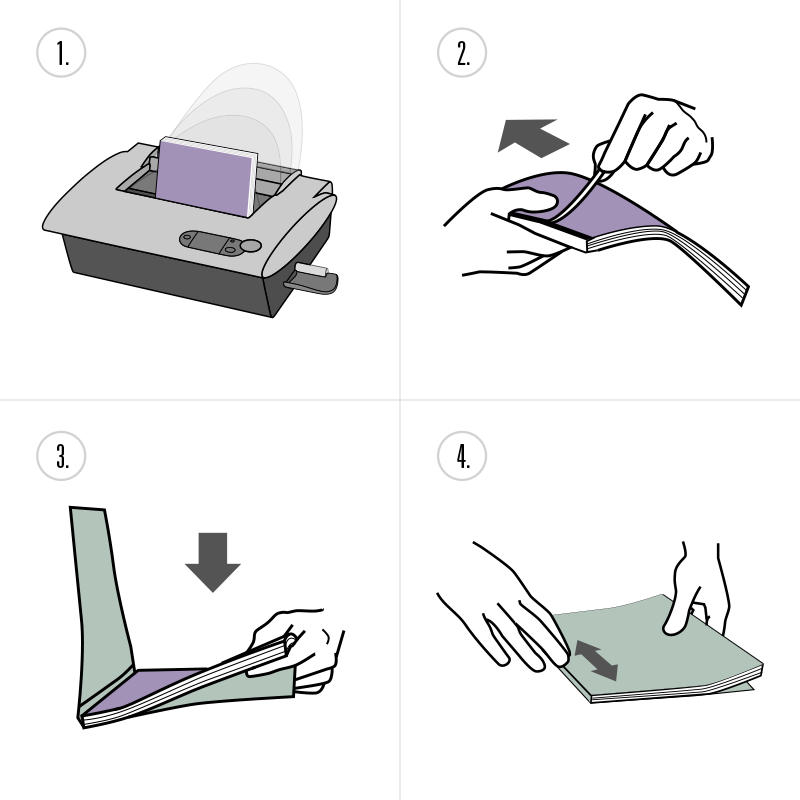 PS strips have a pressure sensitive adhesive for assembling books. The entire spine of the cover is permanently bound to the book block. 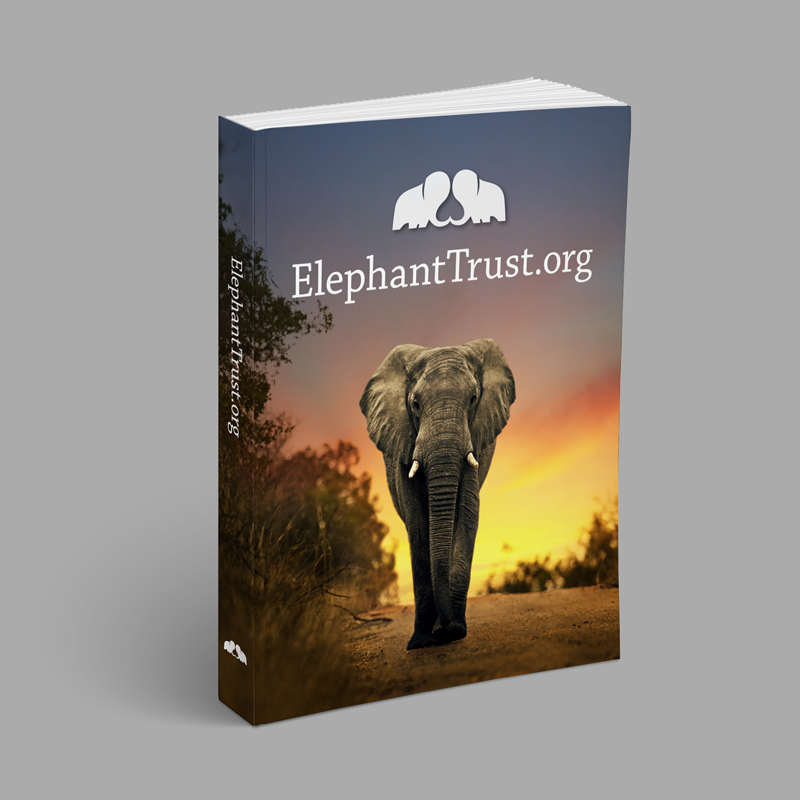 Final binding is done without heat so you can use cover materials or printing methods that are heat sensitive without worry. These strips have a narrow and a wide band of release paper on the back of the strip.